Add this one to the list of movies that I watched multiple times as a kid. I didn’t watch it as many times as I watched Angels in the Outfield, mostly because we didn’t own a copy, but I would be lying if I said I didn’t enjoy Rookie of the Year enough to give it more than one viewing. 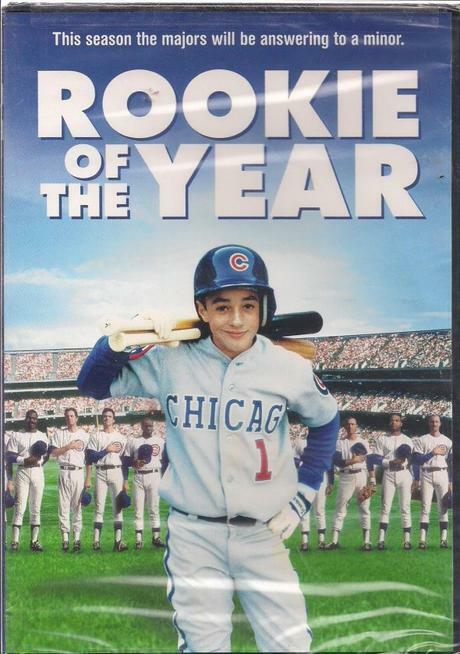 Rookie of the Year revolves around twelve-year-old Henry Rowengartner, who, while he is a big fan of the Chicago Cubs, lacks the talent to be much more than a benchwarmer on his little league baseball team. However, one day, Henry steps on a baseball while at a dead run, causing his to trip and break his arm. After spending much of the summer in a cast, Henry discovers that his tendons have healed a little too tightly, turning his arm into a sort of biological catapult that allows him to throw a speeds around a hundred miles per hour. Before long, Henry finds himself signed by the struggling Cubs, and he almost-single-handedly saves the Chicago team from its financial struggles by drawing sellout crowds to Wrigley Field for the rest of the season. He gets to learn from his hero, Chet “Rocket” Steadman, gets signed to sponsorship deals, and experiences the highs and lows that come with overnight fame. Henry’s mother’s boyfriend, Jack, serves as Henry’s manager, but it quickly becomes apparent that he merely wishes to use Henry as means through which to pad his own bank account. The Cubs make it all the way to the Division Championship game (which, in this flick, is apparently just the one game). Chet Steadman starts and puts in some solid work before throwing out his arm and opening the opportunity for Henry to pitch. Leading by one going into the final inning, the Cubs run out to take the field, and Henry once again steps on a baseball, causing him to trip. He falls on his arm in the same manner as when he first broke it, but rather than breaking the arm again, Henry finds that his ability to catapult a 100-mph fastball has vanished. The Cubs as a team then have to get creative on how they will manage the final three outs of the game. Watching this film again last night, for the first time since my childhood, I was able to catch on to some things that were totally over my head when I was younger. For example, the movie plays off the Cubs’ long World Series drought, which was still ongoing at the time of the movie’s release. As a kid, the biggest thing I got out of this movie was a twisted desire to somehow break my arm in hopes that I, too, would develop a slingshot that would turn me into a star ballplayer. As an adult, I just had to marvel at the willingness of some of the adults to exploit a child all in the name of making a buck.